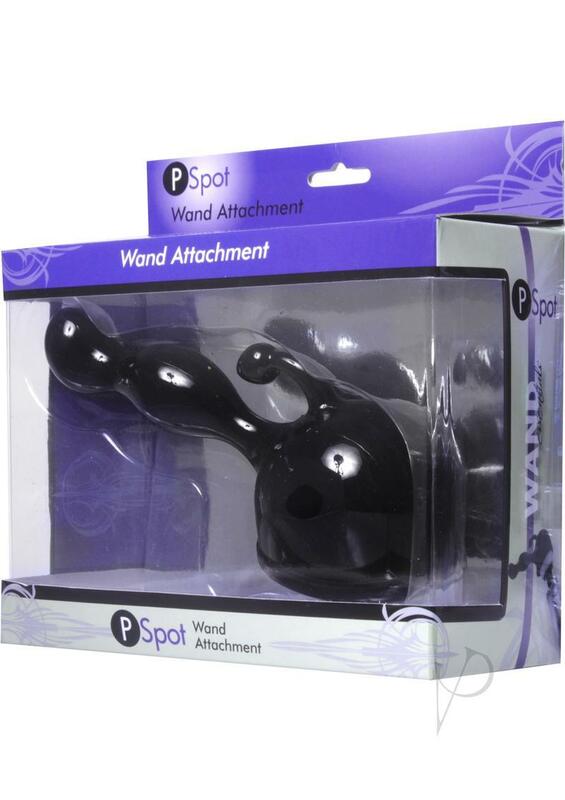 The P-Spot Wand Attachment for Men is a handy addition to your toy collection that combines two intense modes of stimulation: vibration and prostate massage! This flexible P-spot attachment paired with one of our super powerful wands is your ticket to a mind-blowing good time. Just slip the attachment over the head of your massager and slide this sensually curved piece into place, letting the expertly angled tip apply pressure directly to your prostate. The external stimulator teases your perineum at the same time, sending you over the edge to ultimate satisfaction.